Back in more naive times, I wrote about how excited I was to have top-tier Diamond status in the Hilton Honors program. After almost a year as a Diamond, I can officially say that Hilton Diamond status is pretty much worthless. It's not even that Diamond status is particularly bad, it's that both on paper and in practice, it's barely better than Gold status. 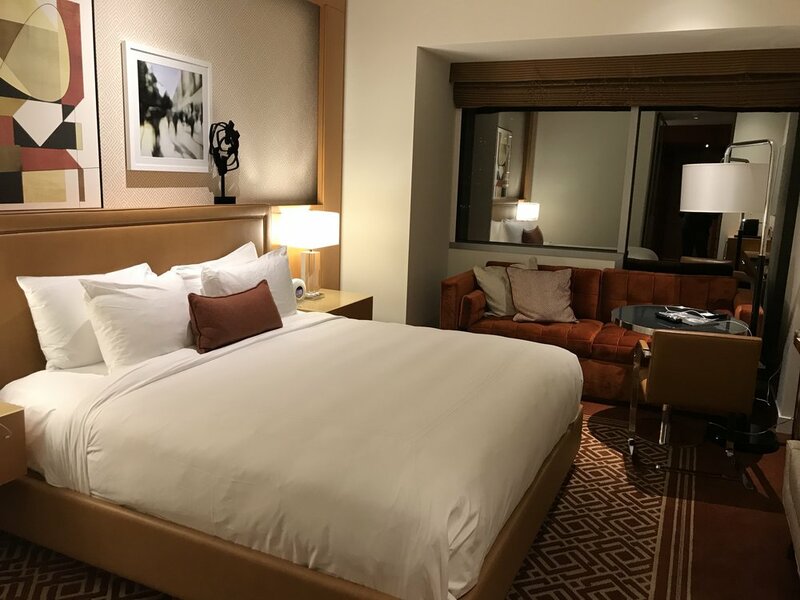 I keep expecting Hilton to devalue Gold status, since it's very easy to earn (you get it with the $95-per-year Hilton Ascend card and/or with the Amex Platinum), and the benefits -- free breakfast, occasional room upgrade, and a 50% bonus on points -- are better than any other hotel's mid-tier status. The fact that I didn't score a single upgrade to a suite is pretty disappointing. I'm sure I could have argued with the check-in person at each of these hotels, although arguing with someone over elite benefits isn't really high on my list of things to do when on vacation. I did try to wrangle something from the Conrad Chicago, and they offered to sell me an upgrade to a room with a better view. So much for Diamond status scoring automatic upgrades to the best available room. The upgrades that I did receive were to preferred rooms only, and I can't say definitively that I wouldn't have received the same upgrade if I only had Gold status. One interesting anecdote: I received a letter outlining my elite benefits when I checked into the Aleph Rome hotel, and it mentioned Gold status at the top. I reminded the check-in agent that I had Diamond status, and she gave me a new letter that was exactly the same except for saying "Diamond" at the top. So as far as room upgrades were concerned, having Diamond status may have gotten me onto a higher floor here and there, but other than that, it's pretty worthless. Of course, that's not to say that I didn't enjoy my stays at these hotels. They were all really nice, and the Waldorf Amsterdam, Aleph Rome, and Hilton Venice had incredible breakfast buffets. 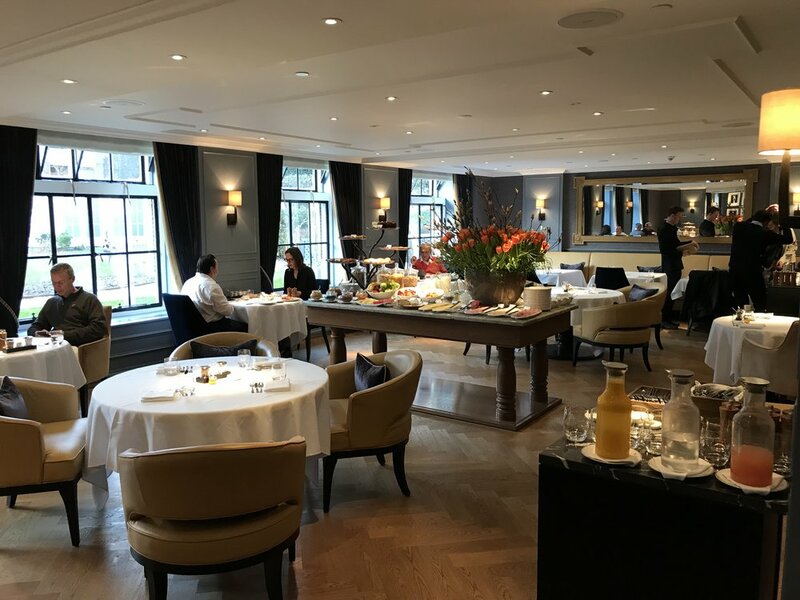 The fact that you get full access to these buffets with lowly Gold status is nuts, and even after I cancel my Aspire card and lose Diamond status, I'm still going to go out of my way to stay at Hiltons due to how good Gold status is. That's right, I said I'm going to cancel my Aspire card at the end of the year. It's still a good card, but it's not worth $450 per year to me anymore. The $250 airline credit and free weekend night are nice, but even if I value the airline credit at face value, that means I'm essentially paying $200 for a weekend night. I'm sure I could come out ahead if I managed to book an expensive hotel on the weekend, but I'd rather save the cash and be able to use it on a room any day of the week. Plus, it's not like they make those weekend night certificates easy to use. The other benefits are of limited use to me... at best with Diamond status, I'll earn a few extra points. I don't have any plans to stay at a Hilton resort next year, so the $250 resort credit will be wasted just like it was this year. Finally, the $100 on-property credit at Conrad/Waldorf properties is similarly pretty useless. Is the Aspire card right for you? I'd say yes if any of the following is true: you earn 100,000 base points a year staying at Hiltons (meaning that Diamond status would get you an extra 50,000 points over Gold), you plan to stay at a resort at some point, or you routinely stay at Conrad or Waldorf hotels on the weekend. For me, since most of my Hilton stays are award stays, it just doesn't make sense. In the end, I feel I got plenty of value out of the Aspire card in the first year ($500 in airline credits plus a free weekend night that I used at the Conrad NYC and the 100k sign-up bonus), so I'm not too sad that Diamond didn't work out. It's a bummer that I couldn't get a single suite in six tries, but it's not the end of the world... just the end of my time as a Hilton Diamond member. Has anyone else had better luck with Hilton upgrades?